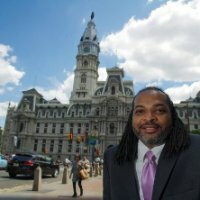 Charles, a longstanding City employee, began his service to the City in 1998, as Assistant City Controller for the Philadelphia City Controller’s Office. His stellar career and rise through city government is in large part due to his advocacy for persons with disabilities and knowledge of the Americans with Disabilities Act (ADA); leading him to be appointed as the Chairperson of the Barrier Free Design Committee for the MCPD and a member of the Accessibility Advisory Board for Licenses and Inspection. In 2006, Mr. Horton was appointed as the Deputy Director/Accessibility Compliance Specialist for the MCPD. In this role, he advises the Mayor, his administration and city departments regarding disability related issues, promotes the development of programs and services in the public and private sectors, insures the rights and privileges of full citizenship of people with disabilities, promotes self-advocacy, self-awareness and independence and assists people with disabilities through referral, information, and direct service. In 2012, Charles added to his responsibilities, becoming Assistant Deputy Mayor/Executive Director for the MCPD. Charles serves on numerous boards and committees including but not limited to the National Disabilities Cities Associations Committee for City Offices servicing people with disabilities in the United States.